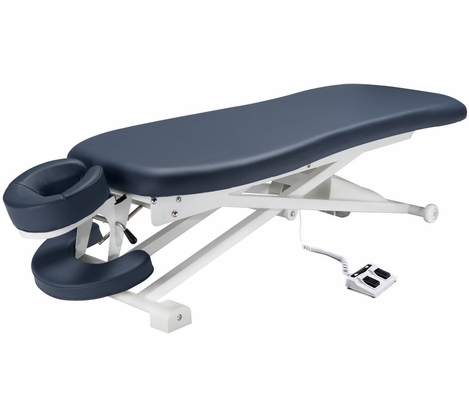 The 29” TheraMaster Flat Hi-Lo Table is a popular power-driven professional bodywork table, incorporating features such as a sturdy head-cradle and armrest, and the ergonomically designed contoured top offers comfort to the patient and provides ergonomic ease for the practitioner. The separated molded polyurethane foam face cushion is replaceable and easy to clean, which is not regular breath-hole can compare! The TheraMaster™ design is effective in the application of multiple interventions such as Deep Tissue work, manipulation and ADLs (Activities of Daily Living), plus the price is easy on your budget. 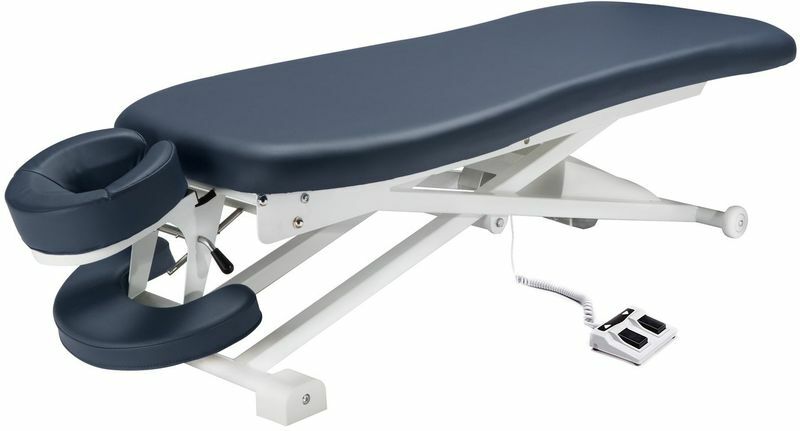 • An infinitely adjustable built-in sturdy head-cradle with armrest can be positioned accurately. • Unique contoured top offers comfort to the patient and provides, pioneered by Master Massage.